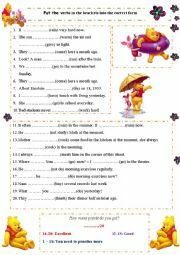 I make this worksheet in order to have my students practise tenses. 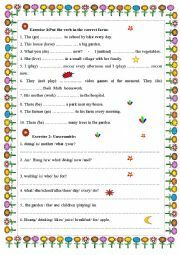 This is a worksheet of Simple present tense, use for the students who need to practise this tense with simple verbs. There are two exercises: Put the verbs in the correct form and Make question and answer. I made this worksheet to get my students to review colors and numbers (from 1 to 10). Hope you enjoy it! 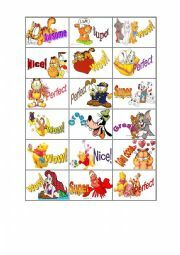 I make this worksheet in order to have my students practise tenses. By the way, thank you, Edaydemir, for your very nice worksheet template. 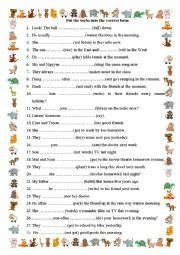 This is another worksheet relating to verb tenses. 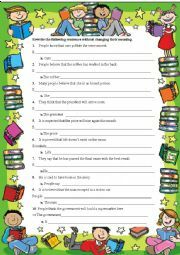 This time,i use the worksheet template made by ASMA CORP and uploaded by class centre. Once gain,thank you very much. I made this worksheet to get the students to practise the passive voice with people say/think that .... Hope you and your students like it! 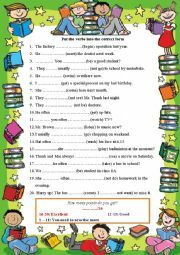 This worksheet is to get sts to practise present tenses. These are some stickers I made with images some cartoon charcters. Honestly, at first,there are 52 stickers in total,but they are more than 500kb, I couldn�t upload them, so i had to delete some. I will upload the rest part tomorrow. 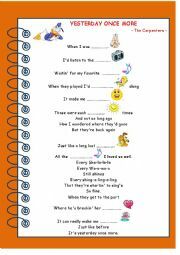 This is a very nice song and I make this worksheet to introduce this song to my students and have them practise listening skill. However, this wonderful worksheet template is created by PhilipR. And if you want, you can also use this template, and I think he will probally agree with this. 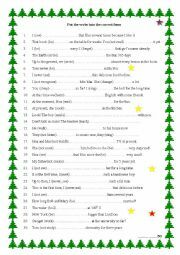 I hope you like this song, and this worksheet as well. you can use this game when you want to have the students practise what they�ve learnt in two teams. If they have the correct answer for one question,they will have chance to open one of three doors and they will get 1, 2, or 3 points based on the number behind the door. 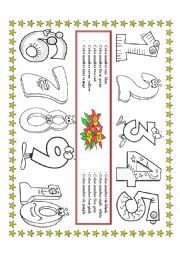 I made this pp to get my sts to learn the round ten numbers and numbers from 10 to 100. The first st to call out the missing thing wins.